Evite o incômodo e dor de cabeça de chegada e pule o transporte público com esta transferência de chegada do aeroporto LAX. Aproveite a facilidade do serviço porta-a-porta com um motorista profissional e minivan confortável. Faça uma pré-compra deste traslado compartilhado do aeroporto para o seu hotel em Long Beach ou San Pedro e dê um pontapé inicial nas suas férias ou viagem de negócios. Este traslado de chegada a Long Beach: o aeroporto LAX até Long Beach ou o San Pedro Hotels é a maneira mais fácil de garantir uma chegada sem dor de cabeça. Experimente o conforto e a conveniência do transporte terrestre porta-a-porta compartilhado e evite a dor de cabeça e o incômodo de percorrer o transporte público ou as estradas locais. Reserve com antecedência on-line com este serviço disponível 24 horas por dia, sete dias por semana. We were picked up as arranged and taken to our hotel in comfort - thoroughly recommend this option if looking for a transfer when in LA. We had no wait for the van, It pulled up just as we were coming out with our luggage. The driver had one other passenger to drop off and then delivered us right to our hotel. Very easy travel arrangements!!! Instructions about what to do to contact the van at the airport were unclear, and then when we found the shuttle, they had some difficulty confirming our reservation since it was through Viator and not directly through the shuttle. Everything turned out fine and we got to our destination without problems. Not pleased! Paid for this transfer online and when I passed the driver my voucher he said it was only worth part of the fare and I owed him 13. After a long day flying and delays that was annoying! I assume Viator is a booking agency, in future I will deal directly with a shuttle service. I booked the transfer online through Viator and the instructions for how to get to the pick-up point were very unclear. When I walked out of the airport the pick up location was not visible, nor was it to the right as instructed. I ended up at the wrong point and had to ask several people where to find it. 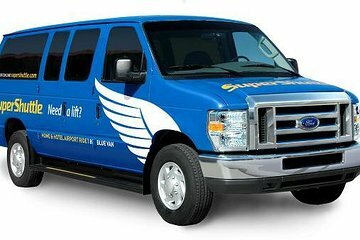 Do not expect to get a welcome party response from Super Shuttle when you approach. They were somewhat surprised that I booked the transfer from Viator and acted like it was the wrong thing to do. Once in the van, the driver was friendly and it all turned out well, however, keep in mind you may be the last person in the van if others in the van have destinations before yours. You will have to drive to their destination first before being dropped off at yours, and this means driving through neighborhoods which may not be the best locations. I booked and paid online for this shuttle from LAX to our hotel in Long Beach before our cruise. The instructions sent for catching the shuttle are not clear and the girl checking in curb side had zero customer service and care factor was zero. We had to wait 1 hour and 20 minutes for a shuttle that then dropped people off at private homes not hotels so our trip took 1 hour and 10 minutes from the airport to our Long Beach hotel. The driver also stunk of BO. I will never recommend or use this service again!  Good value transfer, but staff were not very friendly or professional. It was only a transfer from airport to hotel.